The Wallace Lee Family has been providing Myrtle Beach Fishing Guides and Charters for over thirty years. Specializing in inshore and reef fishing, Wallace Lee Fishing Guides provides knowledgeable and professional guide service for the whole family. Our Boats are located in Murrells Inlet, a small fishing village located just south of Myrtle Beach. 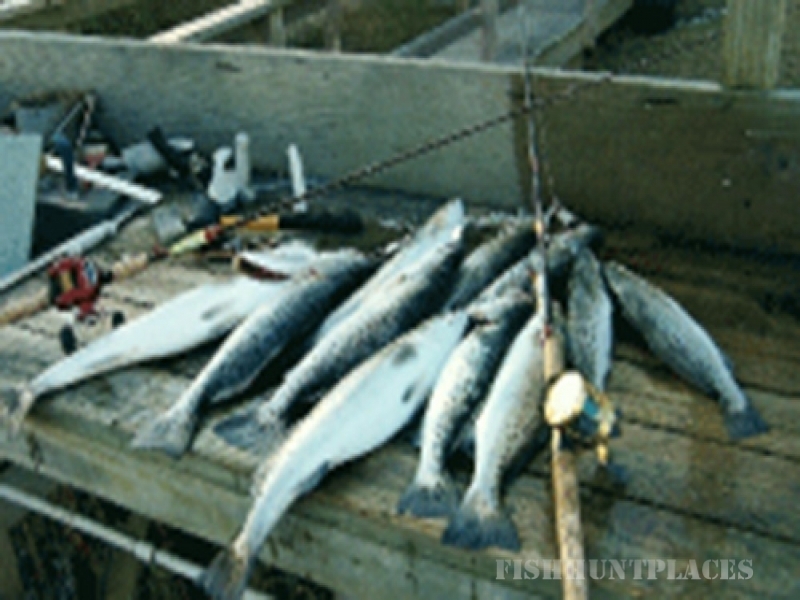 The inlet feeds off the Atlantic Ocean and offers an excellent estuary for a number of fish species. Depending on the season you will find abundant opportunities to catch Flounder, Redfish, Black Drum, Trout, Spots and Bluefish. Out at the reefs you may expect to find Spadefish, King Mackerel, Spanish Mackerel and Black Bass. We pride ourselves in not only offering the serious fisherman the challenge of catching a lot of fish but also being family and children friendly. We encourage you to bring the family along and experiencing a memory that wont be forgotten. "If you want to see a child smile, take one fishing!" We offer several different packages to suit your budget and preferences. Our boats consist of both Pontoons and skiffs to satisfy your needs. Wallace Lee's Fishing Guides offers much more than just saltwater fishing. The Waccamaw river located only three miles from the inlet offers some of the best freshwater fishing in South Carolina. Bass, Bream and catfish are plentiful but catching fish is only half the fun! Frequent sightings of alligator and wild boar are common. Rice fields from the old plantations are visible along the river. A cruise up the Waccamaw River is a perfect way to relax and see beautiful scenery while on your vacation at Myrtle Beach. Wallace Lee offers tours that will take you through rice fields leading up to old Plantations. You will be able to view , alligators moss-laden oak trees and osprey.